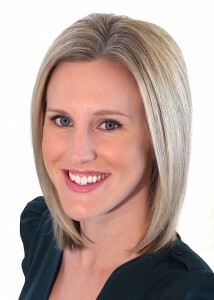 We’re thrilled to announce the addition of Dr. Erica Crosta to the Struble Orthodontics team! Get to know her in 7 quick questions. 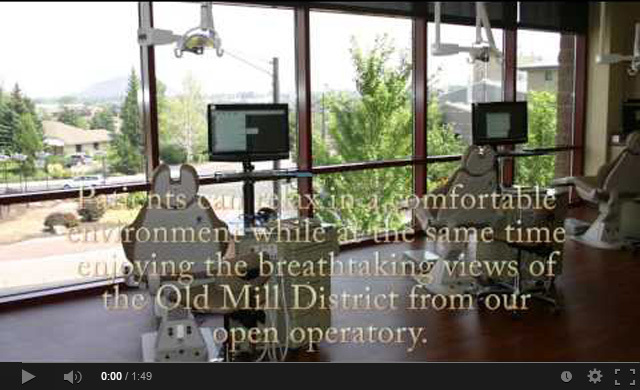 What led you to be an Orthodontist here in Bend? I was born and raised in Portland with my parents, Lee and Valerie, and younger brother Bryan. Growing up, my family had a vacation home at Black Butte Ranch, so I spent a lot of my childhood in Central Oregon. I graduated from West Linn High School and went to Oregon State University (GO BEAVS!) where I earned my Bachelor of Science with a minor in Chemistry. Part of my college experience included spending a semester on Oahu and studying at the University of Hawaii at Manoa. It was such a wonderful experience. I was able to take courses like marine biology and Hawaiian studies as well as teach myself how to surf! I met my husband, Trevor, during my sophomore year of college and we have been together ever since! He has been so patient and supportive in life and throughout my educational career. After college, I took a year off from school and worked as a barista at Starbucks while applying to dental school. It was great to have some time off and regroup. I was then accepted into Oregon Health and Science University, where I earned my doctorate degree. During dental school, Trevor and I welcomed Garth, our loving golden retriever into our family. After dental school, Trevor, Garth, and I packed our U-Haul and headed down to the desert for my orthodontic training at University of Nevada, Las Vegas. When I wasn’t studying, you could find us camping, hiking and exploring the surrounding areas. It was so great to experience another outdoor haven, but we are happy to be back home in the Pacific Northwest and we absolutely LOVE Central Oregon! 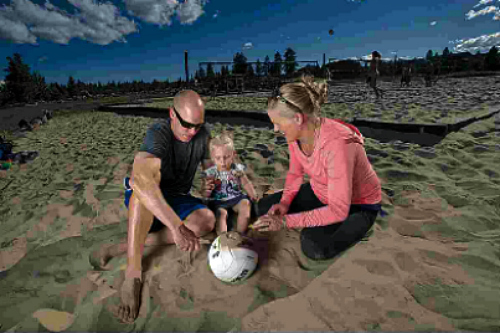 What's your perfect day in Bend? Bend is the perfect playground! Any activity outside would be my idea of a perfect day here. My husband and I love hiking, camping, skiing, mountain biking etc etc….We like to stay active and this is the perfect place for it! I LOVE ALL ANIMALS! I do, however, have a special place in my heart for dogs. As I mentioned before, I have a golden retriever named Garth who is super lovable and goofy! Ice cream or fro yo? Both! I have a huge sweet tooth... especially for chocolate! 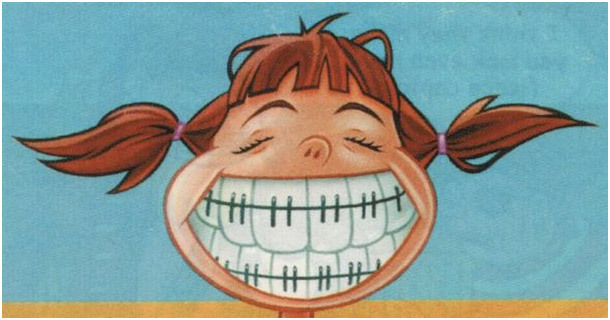 What's your favorite braces-friendly food? French fries and a chocolate milkshake….yummy! 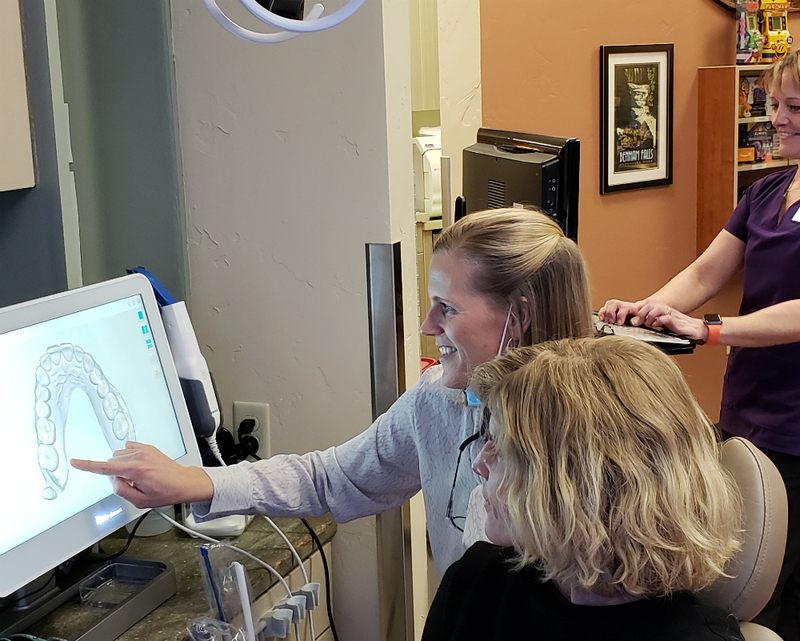 What's the best part about working at Struble Orthodontics? I love my team at Struble Orthodontics! It is such a fun place to work because our team and patients are so awesome and welcoming! I love being able to help patients achieve beautiful, healthy smiles. 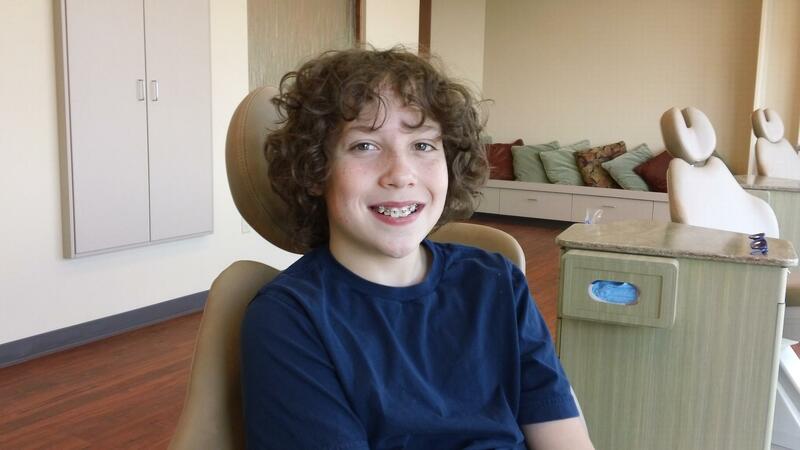 I had orthodontic care when I was young and it made such a huge difference in my life. It’s amazing to be able to be a part of that journey for others. Our team is growing and we’re so fortunate that Dr. Crosta can be a part of it. Don’t be afraid to say hello next time you’re in the office! You can feel the love as soon as you walk in the room. It’s the new offices for Dr. Blair Hanson Struble, where more than seventy people have gathered to show their congratulations in the form of a ribbon cutting ceremony on Tuesday. Congratulations cards, flowers, and even cookies bearing her name littered the counter and friendly faces greeted you at the door. The new offices were incredibly spacious in light of the friendly crowd. Dr. Struble, a true central Oregonian, is a new member to the Bend Chamber of Commerce. Various members of the Commerce were there, as well as family and friends, when Dr. Struble and her team introduced their new office space with a good old-fashioned ceremonial ribbon cutting. It was an exciting event, and the Chamber of Commerce members were certainly excited to be there. With a healthy spread of fruits, cheeses, and a selection of local craft beer from Bend, everyone was enjoying the moment. 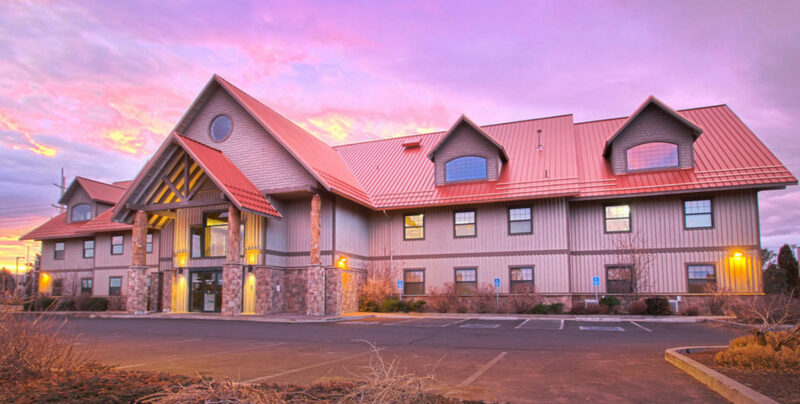 Located on the Colorado/Simpson roundabout (the fishy roundabout) across the street from Deschutes Brewery's corporate offices, the new office gives way to a wide and open setting, which will be beneficial for both the team and their patients. On Tuesday, the office doors opened and everyone had a chance to get their first walk-through. Not only will patients be able to relax in a comfortable environment, they can enjoy the beautiful view from their large windows and open operatory. And at last, it was time to cut the ceremonial ribbon. We all gathered around for the moment and a picture. Dr. Struble was beaming as she described the outpouring of support by family and friends alike. “I have the most amazing team,” she says. “I love my staff, and it’s truly fun to go to work every day… This is a beginning of a long career.” The ribbon was cut, and with good enthusiasm. The passion for what this office does is evident from the expression of collective positive energy of everyone present. And they showed it by—no wonder—sets of smiling faces. 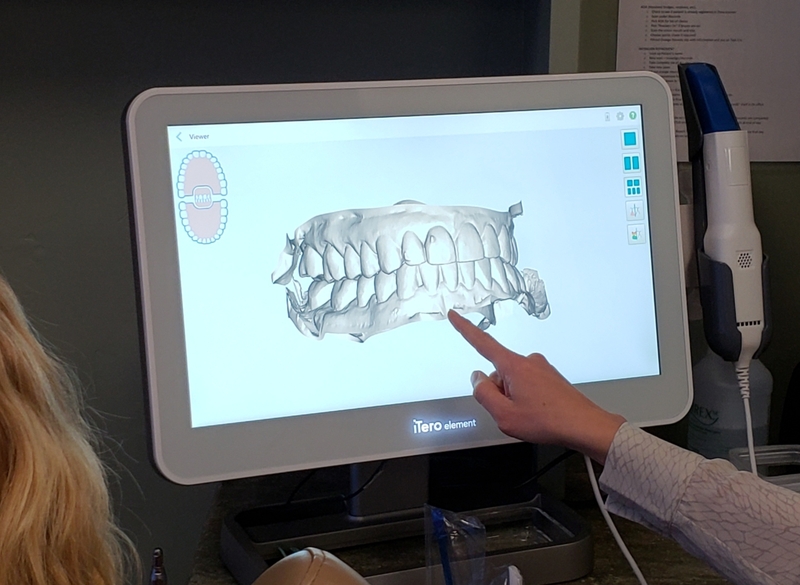 Struble Orthodontics serves Central Oregon, including Bend, Redmond, and Sisters along with their surrounding communities. Their practice takes care of patients of all ages and works hard to improve the health and beauty of every smile that walks in the door. 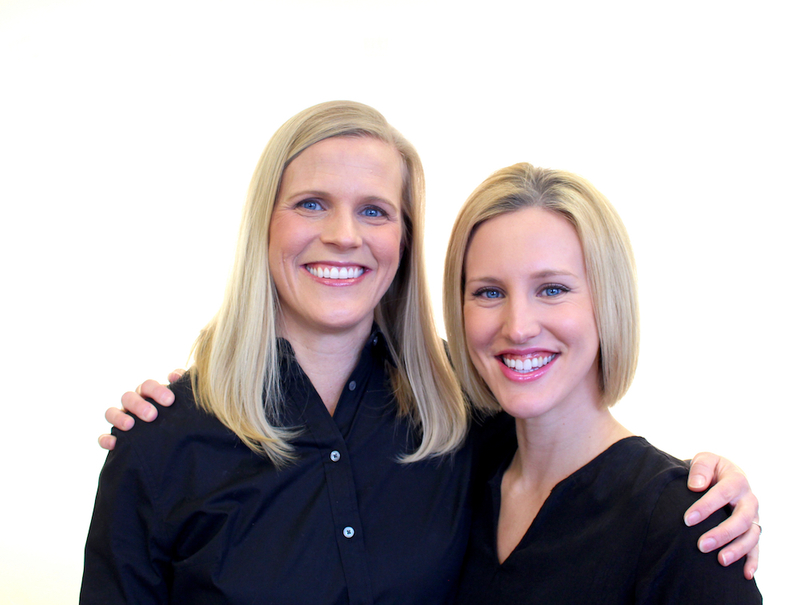 Struble Orthodontics would like to welcome and introduce the newest member of our incredible team! Sarah is our new chairside clinical assistant and comes to us with over a decade of dental experience and a ton of fantastic enthusiasm. We are so pleased to welcome Sarah and can't wait for you to meet her at your next appointment!